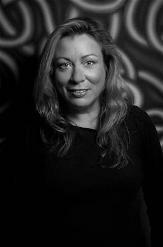 Kerri Harwell has been a hairstylist for various salons since 1980, and has owned the Bradley Salon since 1994. 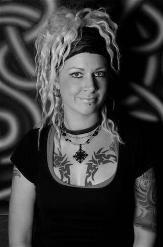 Kerri is a past member of Americoif International and has been a platform stage artist and teacher. Her main focus today is on continuing her education in hair design, color and customer service. Kerri is an expert in hair cutting, color and color correction, and permanent waving. The Bradley Salon is focused on providing customers with current trends and fashion while providing thorough consultations and a relaxed atmosphere. Sarah Jett has been a hair stylist since 2005 and with The Bradley Salon since 2006. Sarah is committed to continuing her education into all the latest trends in hair and fashion. Sarah is a color correction specialist who gives thorough, complimentary consultations prior to all color services. Other services she provides are expert hair cutting and facial hair removal. Sarah's unique hair removal technique earns her many comments from happy customers as to how gentle the experience is. Quote: "It's really cool to have a live canvas in my clients because I get to make them smile."